My Home Pro Contractors, a national roofing contracting company, offers exceptional roofing services. 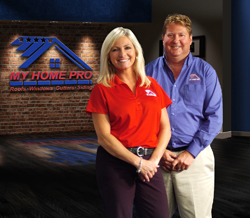 My Home Pro Contractors has offices located in Cincinnati, Dayton, Louisville and Indianapolis. With years of experience and quality service, My Home Pro Contractors has earned an excellent reputation in the roofing industry. Our goal is to be the “best” roof replacement specialists in every community we serve. All our contractors at My Home Pro Contractors are certified, licensed, bonded and insured for your protection. We offer a no-cost roof inspection, help navigating your insurance claim, superb customer service and highly-trained, highly-skilled roof installers. My Home Pro Contractors are experienced roofers who serve both residential & commercial clients roofing needs. All of our locations are fully-staffed and fully-equipped to handle any size roof replacement or new roofing project. In every My Home Pro Contractors location, our customer satisfaction teams are here to serve you, our valued customer, to provide what we feel is the most affordable, well-installed and stress-free re-roofing, roof replacement or new roof construction service available. Our customer service representatives and roofing contractors are available and knowledgeable for everything from the free inspection of your roof to how roofing insurance claims work, follow-up, and more.